"Richard Sullivan's baseball themed watercolors echo our cherished yet gossamer memories of players and moments from baseball's past." In 2015, his painting of Bryce Harper was on the cover of the Washington Post Sports section in honor of Bryce winning the National League MVP. The Washington Nationals bought the original painting to auction off at their Dream Gala in 2016. In 2017 the Atlanta Braves commissioned Richard to create 18 original watercolor paintings and 20 prints for their new stadium SunTrust Park. The paintings line the corridors of the Champions suite and the Executive Offices. The Atlanta Falcons commissioned Richard to create a portrait of their owner, Arthur Blank, that hangs in the owners suite of the new Mercedes Benz Stadium. 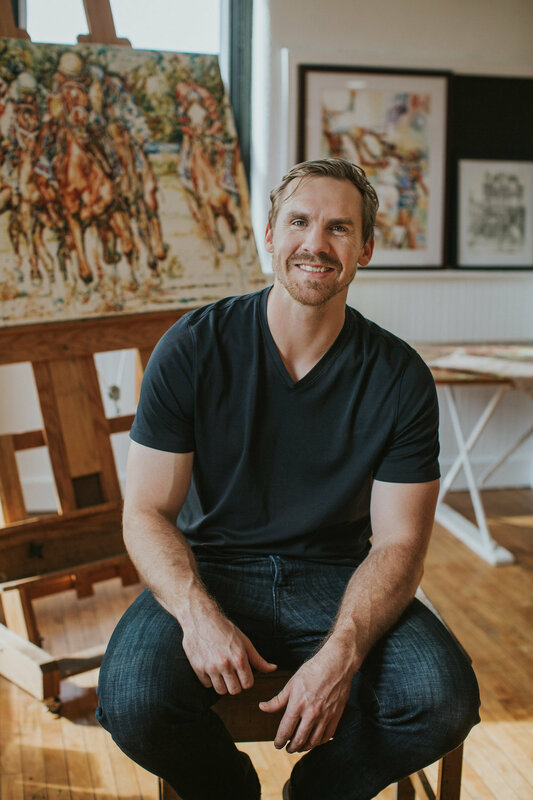 His work has been featured nationally on MiLB.com, Fox Sports, Fox Sports South and numerous magazines including The AJC, Kentucky Monthly, Insider Louisville, The Courier Journal, Louisville Magazine and the Louisville Voice.